Affordable living in Oasis Mobile Park just 15 minutes east of Mission. Located it the Adult side of the complex. Nice sized private yard with lots of parking. 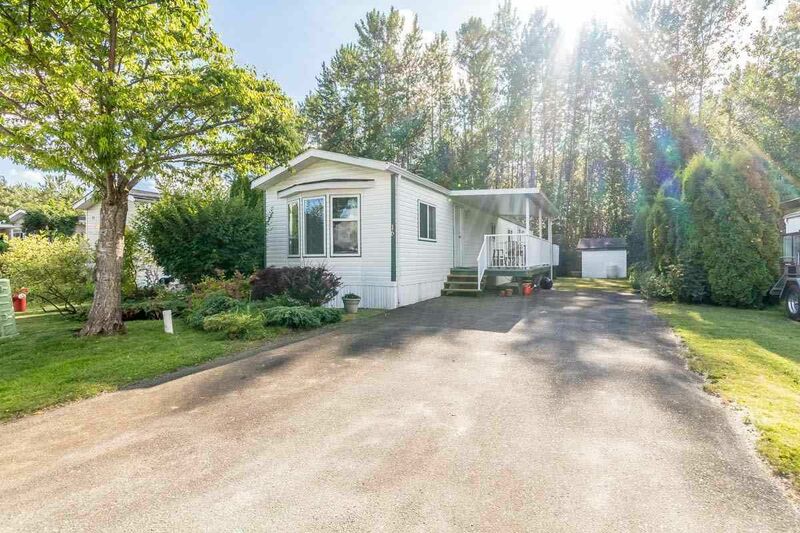 Open concept living space with bedroom and bathrooms located at either end of this 1997 model Gibraltar mobile home. Two out door patios (one covered). Roof replaced in 2012. Reasonable pad rental of $430/month. Close to Harrison Lake and lots of outdoor activities. SOLD.